As developers spend more time with the beta software that Apple made available immediately following the WWDC 2015 opening keynote, more and more features are starting to crop up which Apple either skipped over during its event or didn’t announce at all. Some of them are actually quite important, too. 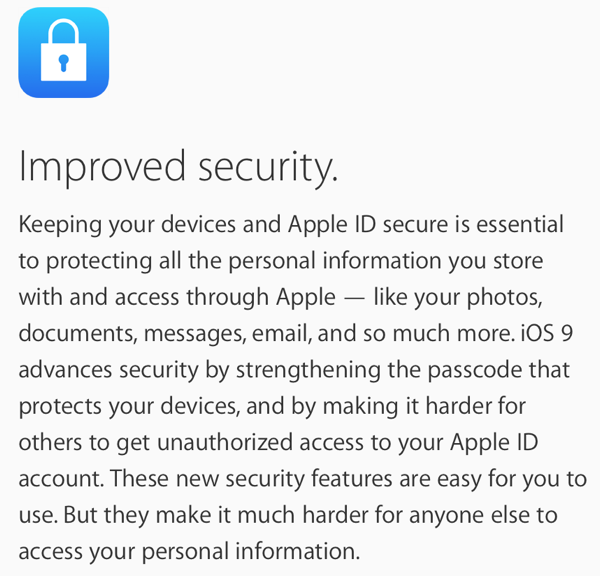 One of those is the move towards making our devices more secure, with support for new 6-digit Passcode added to iOS 9. 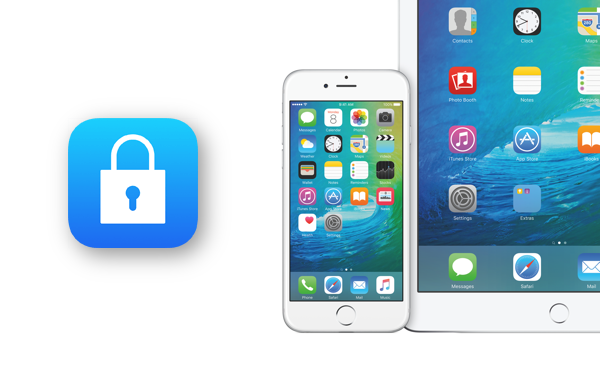 Those updating from iOS 8.x towards iOS 9 may not initially notice the new Passcode availability because Apple is also allowing a 4-digit Passcode option for those that either choose them during setup, or already had one set when using their previous software. Interestingly though, the default option for which type of Passcode is offered during initial setup of a clean device depends on the type of device that is being used. As users have been testing iOS 9, it has become apparent that newly configured devices with Touch ID will be offered a default Passcode configuration of 6-digits, while those which do not have Touch ID components will default to the less secure, but easier to remember 4-digit option. Importantly though, whichever default is available, users can opt to change their security solution to any one of three options: 4-digit, 6-digit or an alphanumeric Passcode. Which one they choose is up to them, no matter which device they are using. Going by that literature, it’s clear why Apple is pushing the 6-digital Passcode alongside the 4-digit one – it’s secure and more tougher to crack. With only 10,000 combinations to go through before a match is found using a 4-digit Passcode, that combination goes to a million when you throw in the new 6-digit Passcode into the mix.